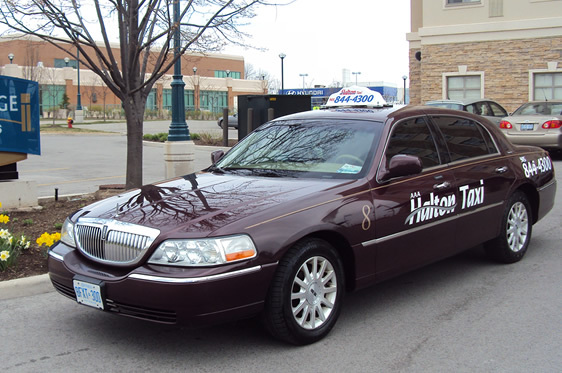 AAA Halton Taxi has one of the largest taxi fleets in Oakville with the largest selection of luxury vehicles. Our sedans comfortably carry 4 passengers with trunk storage for parcels and luggage. Need to transport more than four people? AAA Halton Taxi provides minivan service for up to 6 passengers. We will not only get to you, but we will aid in loading and unloading your parcels. It’s all about service and bringing that level higher daily! (additional charges may apply for a requested minivan). AAA Halton Taxi provides disabled transportation throughout the Oakville area using specially equipped wheelchair accessible taxis and trained drivers. Seniors also enjoy a 10% discount! 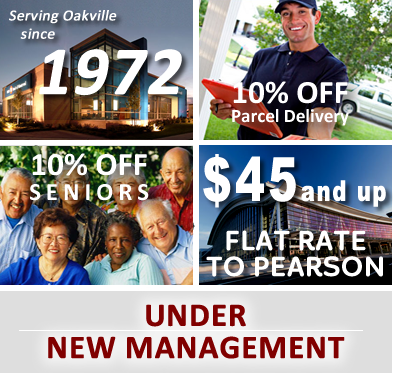 Need to get your package delivered quickly and affordably? Use AAA Halton Taxi for pick up anywhere in the Oakville Area. Oversized packages are no problem - we have minivans available too! There is also a 10% discount for all parcels! AAA Halton Taxi is the only brokerage in Oakville that will come and give you a boost when you are left stranded. If it is not the battery that is giving you trouble, AAA Halton Taxi will get you home safely (additional charges apply for a battery boost). Heading to the Airport? Call AAA Halton Taxi. We provide the CHEAPEST flat rates direct to any airport. Have lots of luggage? Let us know and we will send one of our minivans to pick you up! With AAA Halton Taxi, you can set up recurring rides for any time you want. So if you know you have an appointment every second Monday of the month, or need a ride every morning for the next week, you can just call once and we will set it up! AAA Halton Taxi also offers special event planning. If you are hosting any function, large or small, talk to us so that we can help arrange all of your transportation requirements. We want to make sure all of your guests arrive home safely from all events!